Naveen Naqvi is a broadcast, print, online journalist and an award-winning blogger. Recently, with the help of a micro grant from Pasha and others, she co-founded Gawaahi.com, a Pakistan-based website that aims to archive digital stories of abuse, survival and resistance, where she works as Editor-in-Chief. 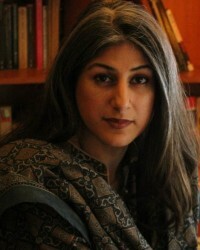 Until January 2010, she was a senior anchor at Pakistan’s first English language channel, DawnNews. During her stint there, she presented the morning news program, Breakfast at Dawn. Prior to that, she represented NBC News in the country as Producer Pakistan.